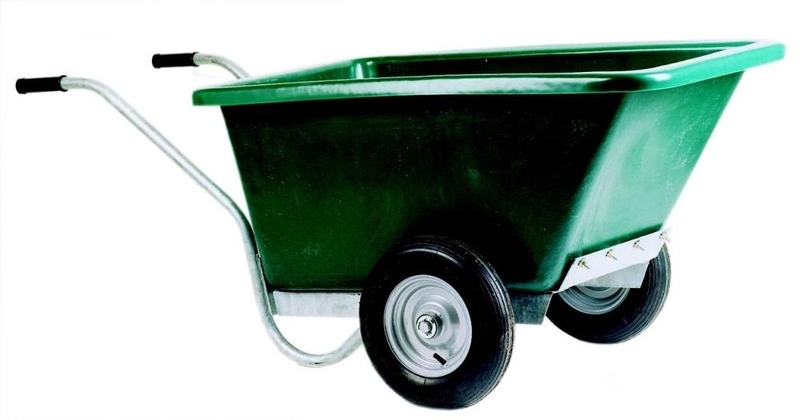 Twin Wheeled Plastic Barrow. 255ltr. Ultra strong large plastic pan with heavy duty galvanised frame. These barrows can handle a huge load and last for years. Spare wheels and tyres are available. Delivery charges for this product will depend on your location, quantity ordered and may be free. Please email for details.